A sample of late type stars has been used continuously to maintain the pointing accuracy of the telescope during 2009-2017. The following table describes the accuracies of pointing models established for three KVN radio telescopes in 2017. 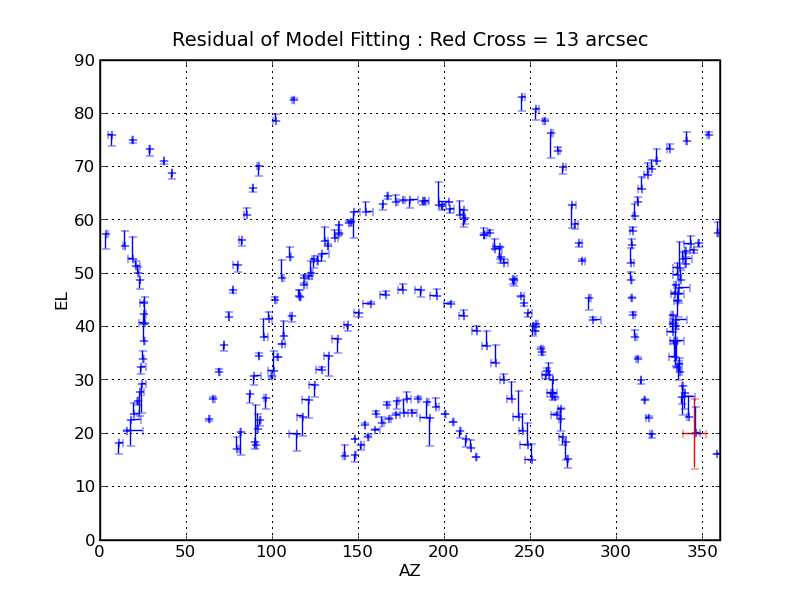 The root mean square (rms) of the residual pointing offsets between the observations and the pointing models are listed in total, azimuth, and elevation, respectively, for each epoch and telescope. In case of observations during a daytime, especially at sunrise and sunset, the pointing observations must be conducted out at least every hour for maintaining the pointing accuracy to be less than 6 arcseconds in rms. 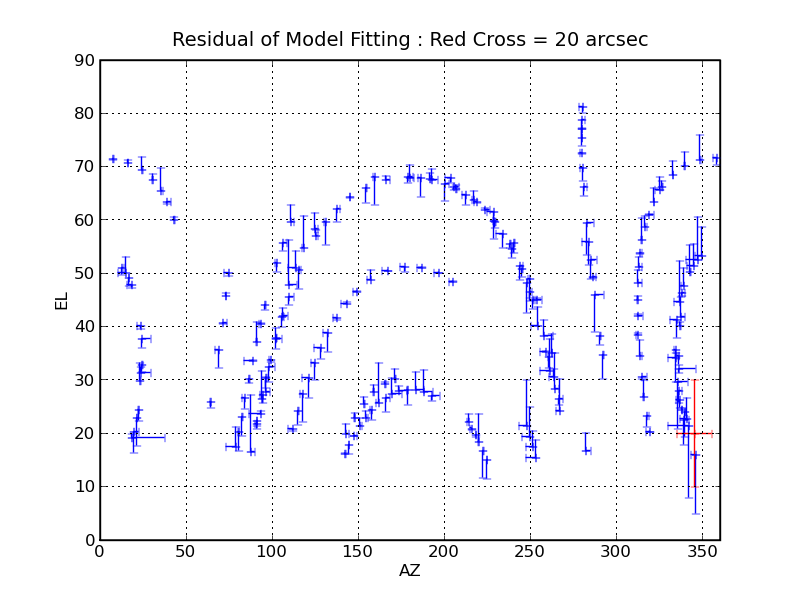 The residual of pointing model measured at KVNYS. 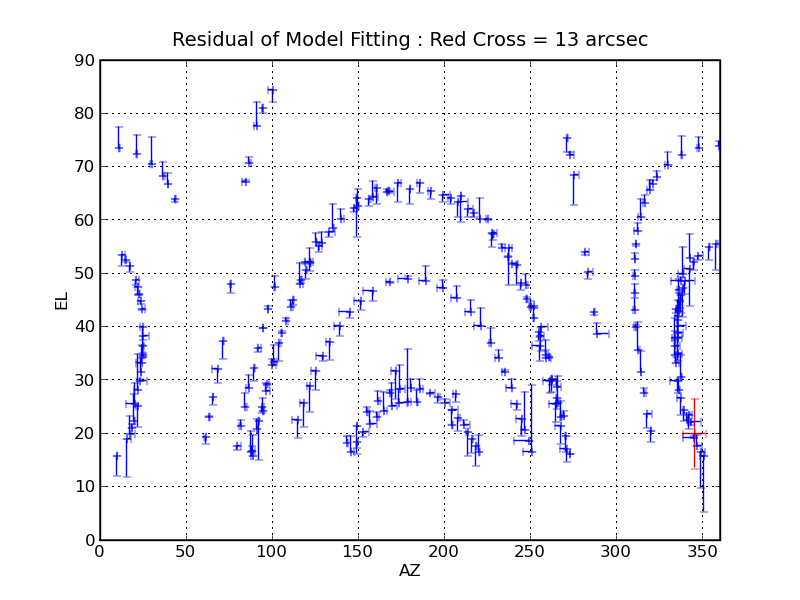 The residual of pointing model measured at KVNUS. The residual of pointing model measured at KVNTN.